Hello everybody! It's time for a new interview in the Meet the Linguist series. 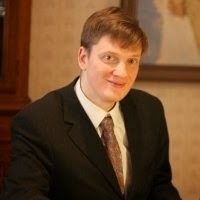 Today I would like you to meet Fedor Kondratovich, a translator, interpreter and a head of Alba Longa Translation Company from Saint Petersburg, Russia. Though the company is fairly young, it is already one of the most reputable translation companies in Russia. Besides, they have been nominated for ProZ Community Choice Awards for their online translator training courses which are very popular among Russian translators. I have been working with Fedor since May and I had a chance to see that he practices what he preaches, i.e. shares in his interview. So let's start! 1. Fedor, can you share a couple fun or weird facts about you that you don't normally share in your bio? I think I should mention my hobbies here. I play Russian draughts, football (soccer) and love theatre arts. 2. How did you start a translation agency? I wanted to create a company that would be different, especially concerning the communication with clients and high quality of services. I started the preparations while still working full-time (I was a staff interpreter and a translator at the OKEY supermarket chain, working directly with the Development Director of the company. This experience, when I was watching how to run a company, turned to be very useful for me. Big thanks to Erik Muse! ), including creating the company website and registering as an individual entrepreneur. A little while later, part of the foreign managers left OKEY and I lost my job, which took the responsibility of making a risky choice off my shoulders. The choice was made for me. I rented a small office, started advertising my company (Yandex Direct ads worked so much better then!) and practically right away, after a written test, I found my first big client. 3. What was the best project in your career? The best project is of course the best paid one. Yes, there was such a project, but there’s nothing special about it. The project I will remember for a long time is one of those first projects sent by that first big client of mine. I still remember those positive feelings when I saw several thousand rubles coming to my bank account. Everything went exactly as planned (according to the agreement), but still, at the moment when I was in my office and I saw that the money reached my account, I suddenly realized that I didn't believe it would actually happen. It meant so much to me! That’s when I was finally able to envision the bright future prepared for my company and me. 4. What was the worst project in your career? Of course we had our share of failures. But there’s one project that was a real nightmare. A young lady hired us for a notarized translation. We took the job (at that time there were just two of us; it was the second year of the company’s life) and couldn’t do it because the notary refused to stamp and sign the translation for some reason. The issue with the documents was urgent and very serious (connected with the client being accepted to a foreign university), so the lady was furious and even threatened us at some point. But there was nothing we could do. Of course we returned the money, even added a small compensation. It was a really unpleasant situation. Now we work with this type of translations very rarely, provided that we have generous deadlines and a loyal notary. Notarized translation is a totally different type of business here, which brings profit only when there is a large throughput of jobs, as far as I understand. 5. What do you like most about being head of a translation company? The thing I love most is probably the fact that I am able (and actually need to) do a lot of different things. One thing running a translation company has in common with the translation profession is that you get to know different aspects of human activity and behaviour. In case with translation, it happens through the language, and in my case, it happens through business. Money is important not as personal profit, but as an instrument, necessary for performing different tasks. It’s an instrument that works only in combination with other instruments. Working as a head of a translation company, you need to sort out relationships with different people (clients, freelancers, employees), understand marketing and financial aspects, ensure the high quality of your services, - and everything greatly depends on how well you can understand the technical aspects of using computers. This “universal” approach is closer to my nature. When I was a translator, I always thought I was doing too many things at once, but here it seems an advantage. 6. Please share a few words about your courses for translators. We launched our School for Translators almost 2 years ago. And it’s been quite a success. We are constantly getting positive feedback from our students, but I keep thinking that we can do better and trying to concentrate on our weaknesses and make us stronger. I have a feeling that every new training cycle goes on a higher level. So far, there is no other concept like that in the market that would include basic disciplines for translators divided into three categories: Translation, Technologies, and Business. All the disciplines are taught by active players in the market. We teach only practical disciplines, necessary for working as a translator. The training sessions are held in the form of webinars, so our students come from all parts of Russia. 7. Why do your clients love working with your company? What's unique about your services? You have asked the right question – “your clients” is the most important word combination here. There are no universal clients. Our priorities, such as high quality work and long-term collaboration – that’s something we have been pursuing from the very first project. No matter what other people say, the main asset of a translation company is translators. Therefore we love, respect them and try to create comfortable work environment for them, including teaching them. We also protect their interests within reasonable boundaries. We love technologies and believe that the future is about automating all the routine processes (CAT-tools, TMS programs and tools for automatic quality control already help us a lot). I have already mentioned that money is only an instrument. And we value those who know what to do with this instrument. Dear Fedor, thank you for the interview! I wish you success in everything you do! Dear readers, if you wish to support Alba Longa, please click this link and vote for Alba Longa in the Best Training category. If you also wish to vote for my blog in the Best Blog category, I will be forever grateful to you :) The voting phase is coming to an end on Monday, so there are just a few more days left to show your support!